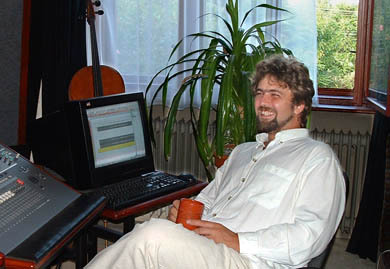 Pejtsik Péter, cellist and bassist for Hungarian prog-rock band Afyter Crying, is the most sought-after symphonic pop arranger of the country (with references like Akosh, Crystal, Bon-Bon, Magnus, etc. ), with a growing number of business from British clients like Peter Gabriel. Pejtsik Péter and Tius (Inita) have been collaborating on After Crying's albums and various other pop, rock and symphonic projects for well over ten years now.